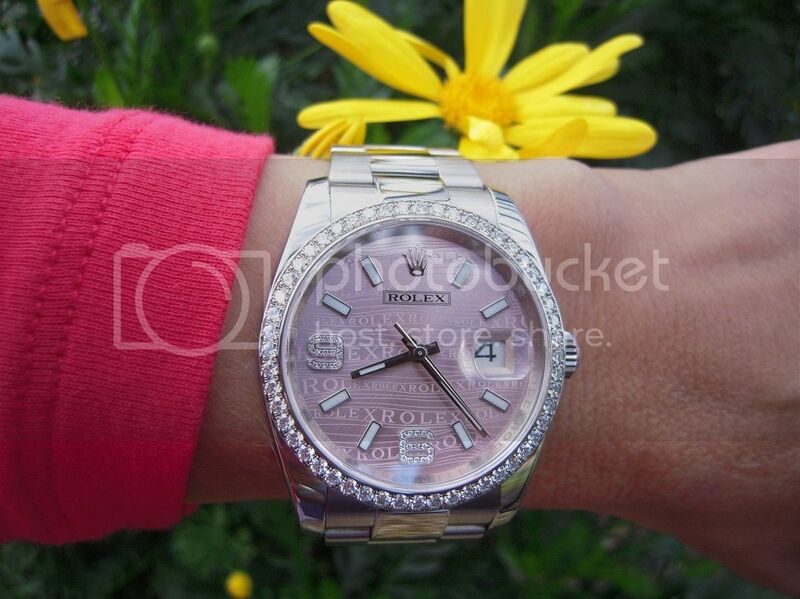 I'm selling a Rolex 116244 Pink Wave with Diamond 6 & 9 Dial Factory Diamond Bezel , 72600 Oyster Band with 6 removable links for that perfect fit. Near Mint - with a light polish it's Mint ! 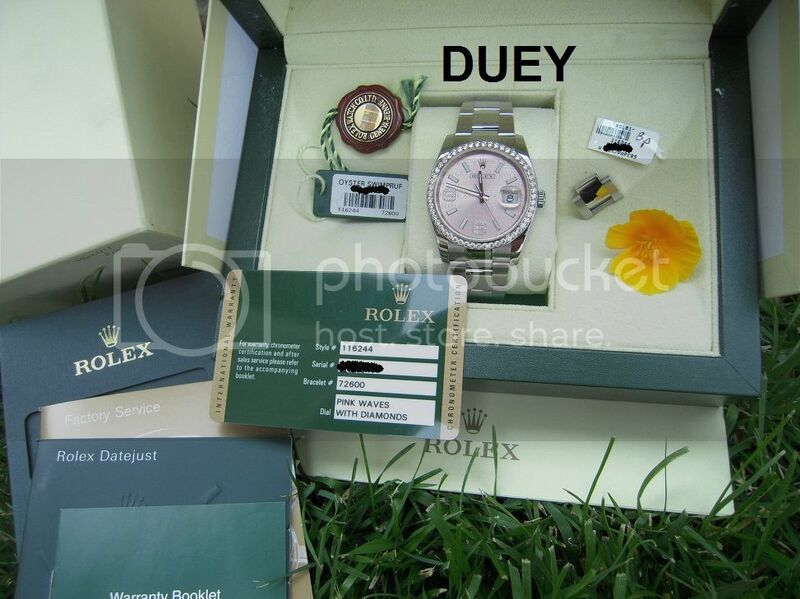 The watch comes complete with the, Inner and Outer boxes, Warranty Card from a US AD, green hangtag with matching serial, hangtag, booklets everything. Random serial number, originally purchased in 2013. I purchased this directly from the AD. These Pink wave dials rarely come up for sale. No Pay Pal, so please do not ask. You can PM me for Photo's and further information.